The Bookstore Plus Hosts Author Signing Event with Ted Comstock and Chris Woodward on Friday, July 5th, 2018, from 3:00-5:00 PM. Join The Bookstore Plus for an exciting book event! Ted and Chris will be at The Bookstore Plus to autograph copies of their book "The Adirondack Guideboat". They will be in the store to discuss and personalize the book. ABOUT THE BOOK: This is a book about “a beautiful and gallant craft”—the personification, in a wooden boat, of the finest qualities of the Adirondack culture of the 19th century. 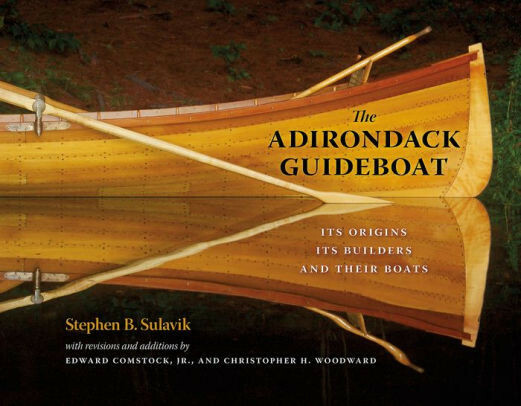 Beautifully illustrated, The Traditional Adirondack Guideboat is the definitive guide to these beautiful boats and their makers, both early and contemporary. Come get your copy signed!